How Do Heat Pumps Operate? Everybody is looking to save money on their home’s operating costs, and heat pumps have energy efficiency in spades. Heat pumps are quickly becoming one of the most popular heating systems on the market. They also happen to be one of the most environmentally friendly heating systems available today. Though many people are becoming aware of the advantages that heat pumps provide. However, few people actually know where those advantages come from. To help you make an informed home heating decision, let’s take a look at how heat pumps operate. Heat pump is actually constructed very much like an air conditioner. There are two main sections of every heat pump, one installed inside the house and one installed outside. The two sections are connected by refrigerant and power lines, allowing them to work together as part of the same system. Within each unit is a coil, which is connected to the power line that flows between them. These coils are very important, as it is they that actually allow the heat pump to absorb and release heat. Both units are also equipped with air handlers, which allow them to circulate air into their respective areas. Heat pump does not burn fuel of any kind. Moreover it moves preexisting heat from one place to another. This is done by evaporating the refrigerant inside one of the units to absorb heat. When refrigerant moves from a liquid to a gas it acts as a heat sink, siphoning thermal energy out of the air in the surrounding area. The refrigerant gas then moves down the refrigerant line to the other unit, where it is condensed into a liquid to release the heat. A heat pump is able to both heat and cool a house, obviating the need for a separate system. This is obviously one of the most obvious advantages. This is done by reversing the flow of refrigerant through the system, changing the direction of the flow of heat from one unit to another. 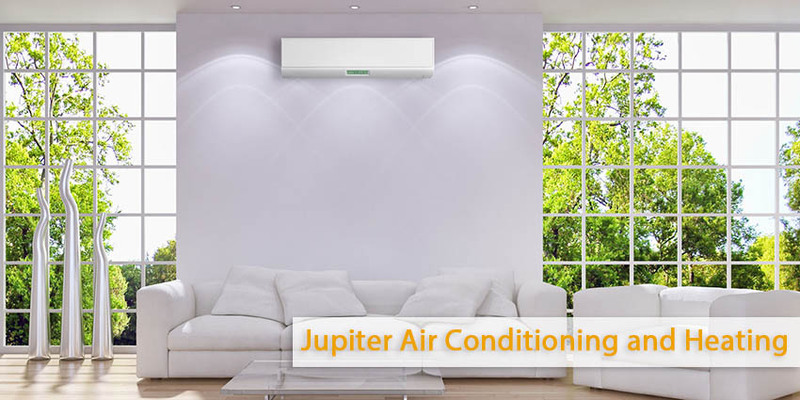 Call Jupiter Air Conditioning and Heating in case you want to know more about how heat pumps work, or the kinds of benefits they can offer homeowners. We provide heat pump services and heat pumps installation throughout Burbank, CA.